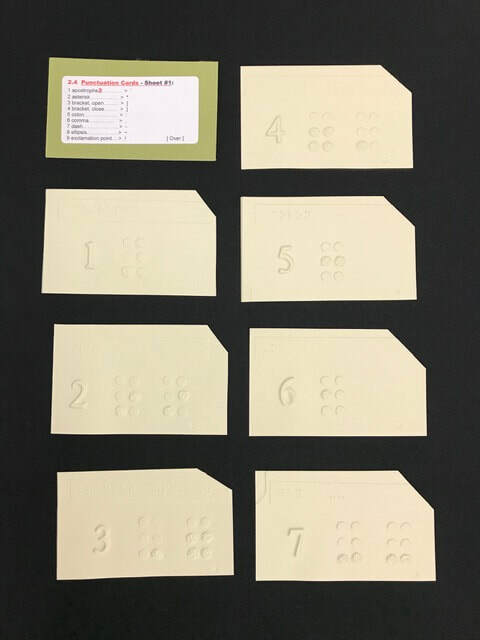 All cards are 3x5 Thermoform plastic, printed and Brailled. 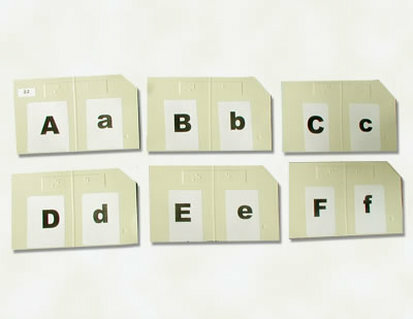 2.1 Alphabet: Lower case letters with standard and enlarged Braille. 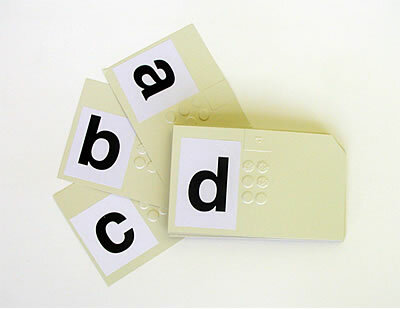 2.2 Alphabet: Upper and lower case letters with standard Braille. 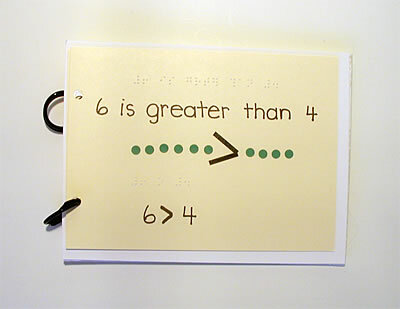 2.3 Numbers: 0–10 with enlarged literary Braille. 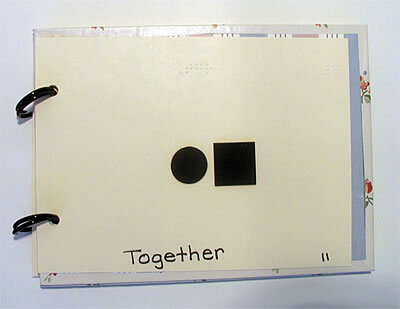 2.4 Punctuation: Names of punctuation signs with standard and enlarged Braille. 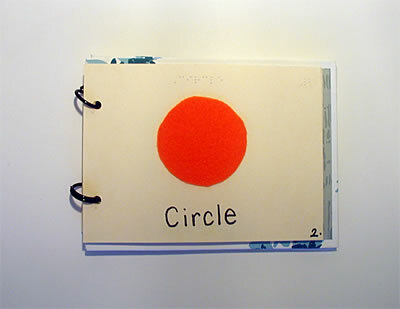 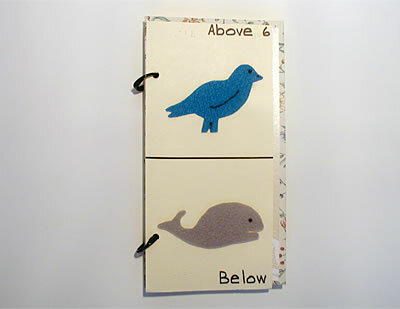 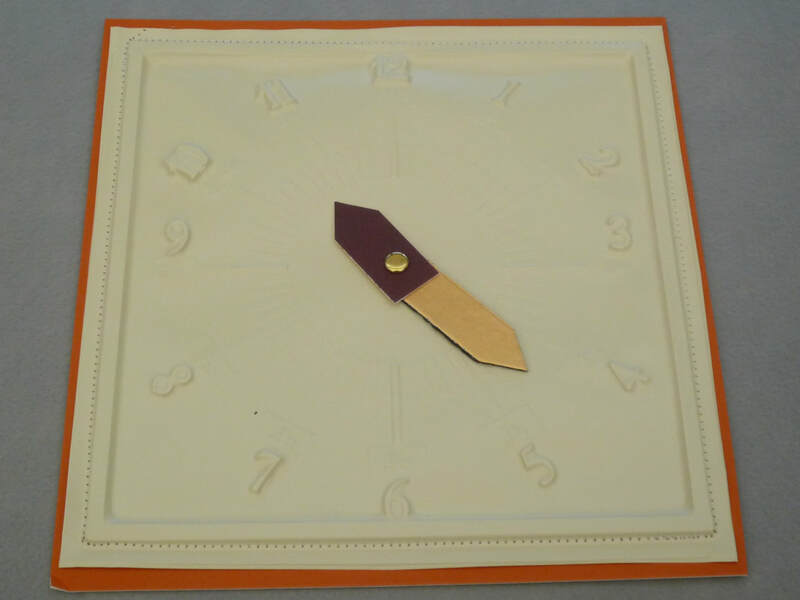 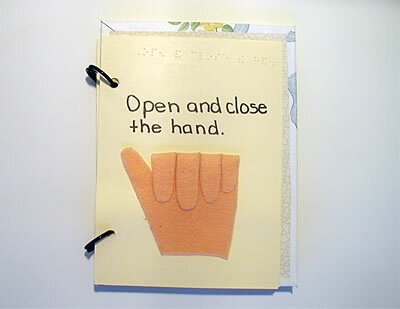 Each page has a tactile illustration, is printed and Brailled. 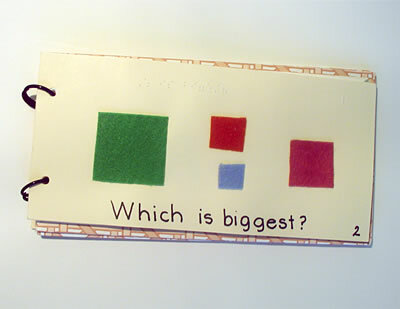 5.5.3 Relative Positions: Top, Bottom, Upper Right, etc. 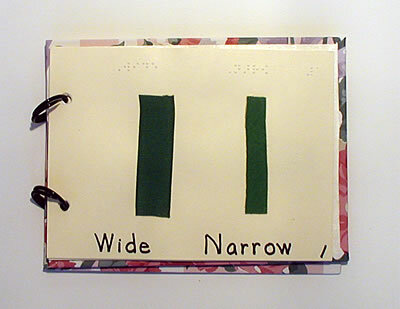 5.5.5 Lines of Direction: Vertical, Horizontal, Parallel, etc. 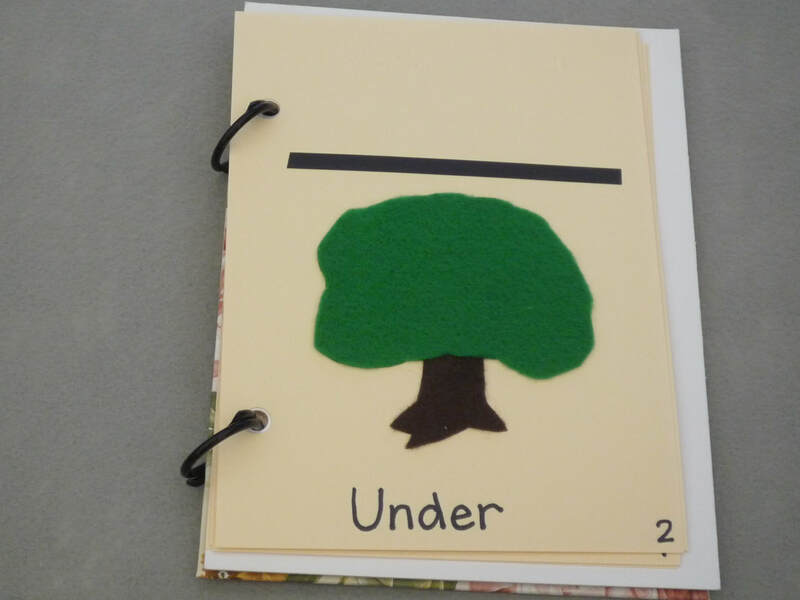 These are fun for your students! 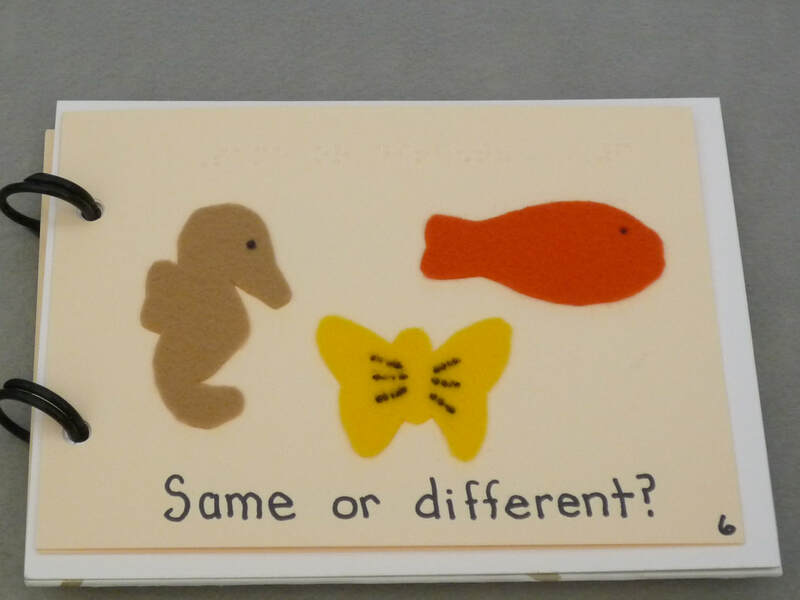 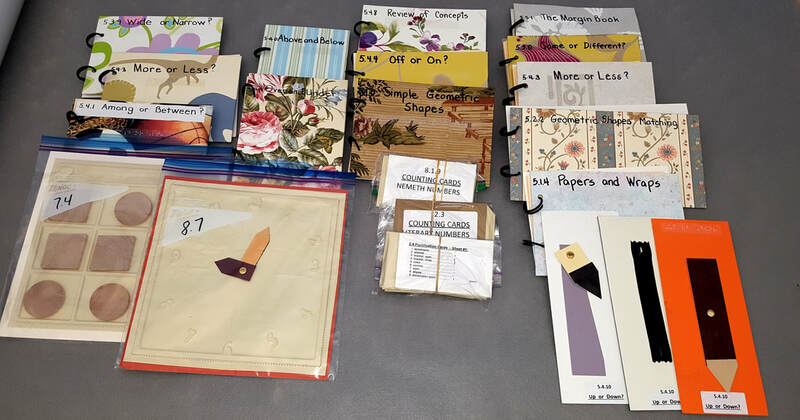 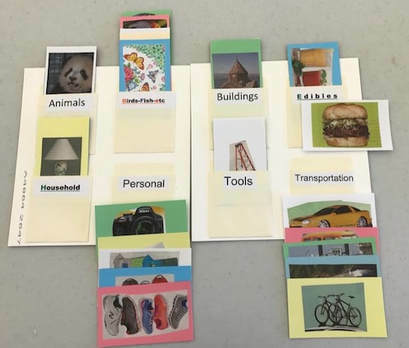 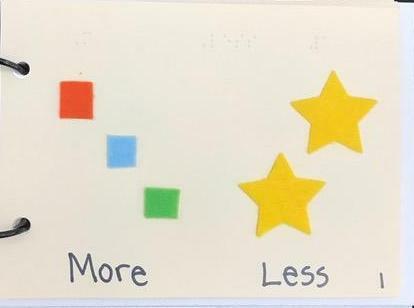 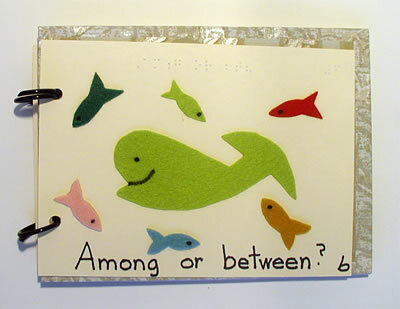 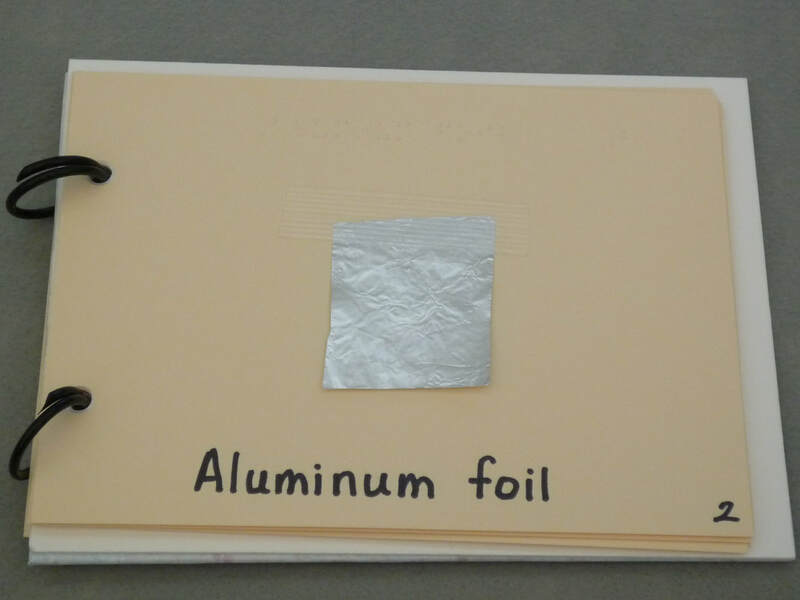 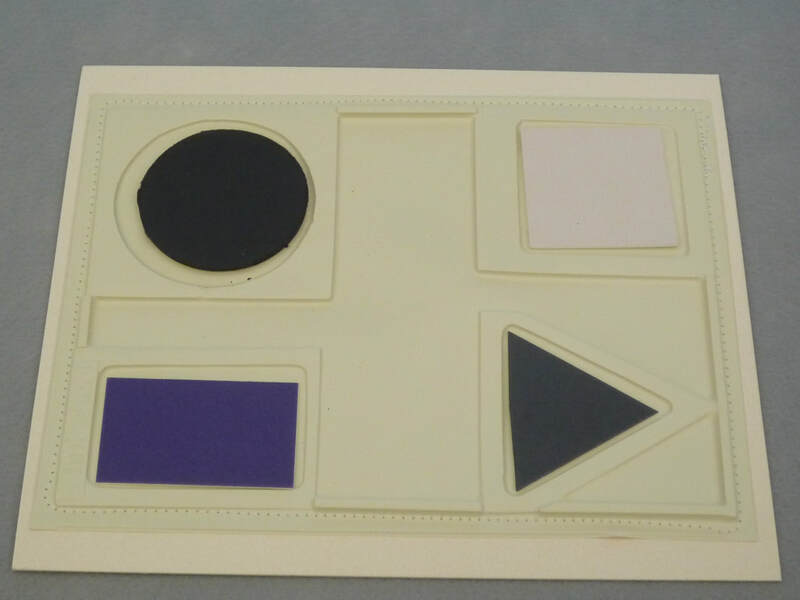 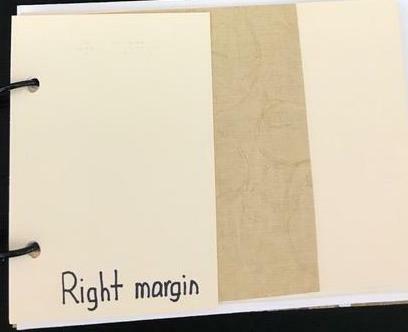 7.l Categories (for low vision students): Labeled library pockets mounted on a cardboard with illustrated 3x5 cards to place in appropriate pockets. 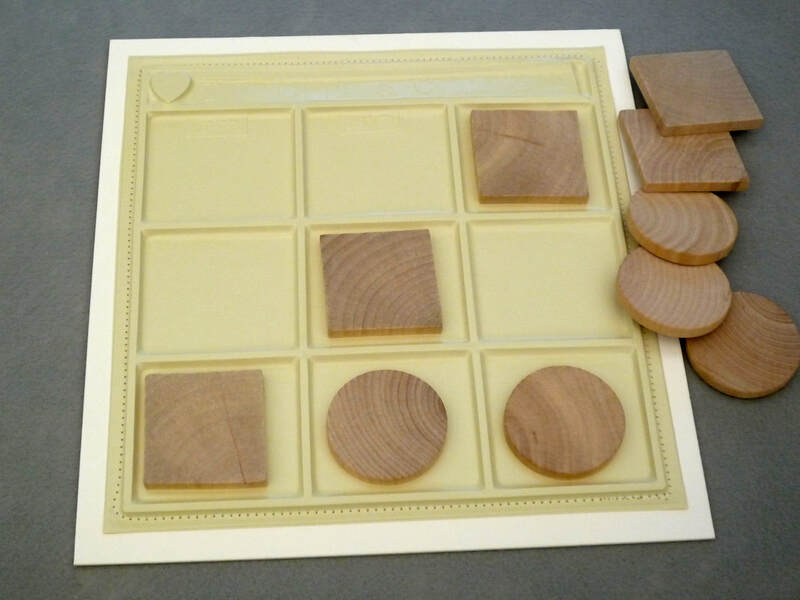 7.4 Tic-Tac-Toe: That Old Favorite! 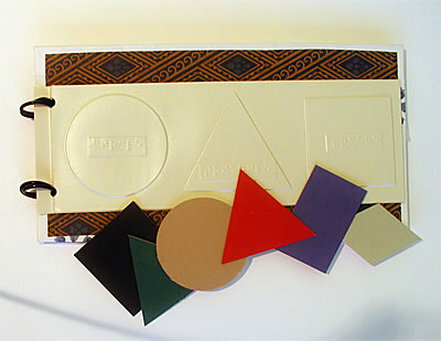 Thermoform plastic with wooden circles and squares. 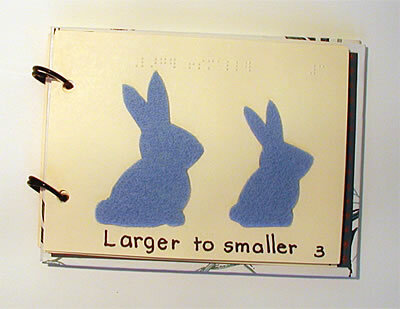 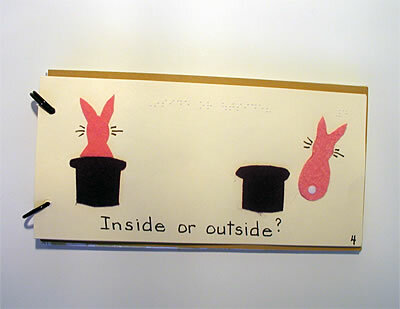 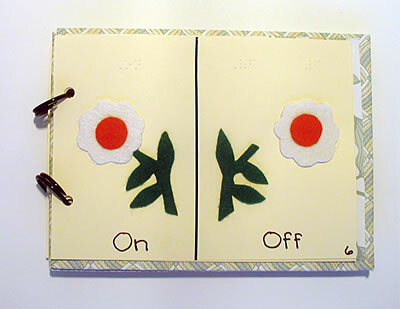 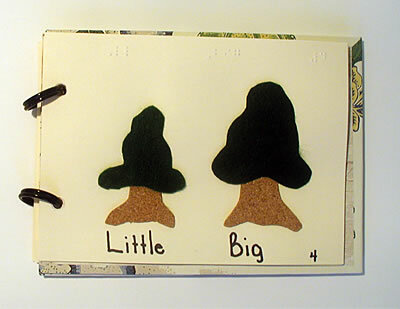 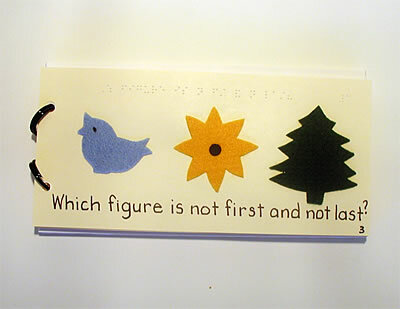 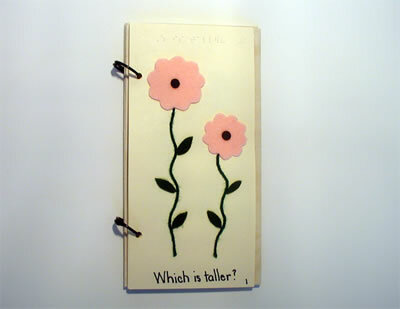 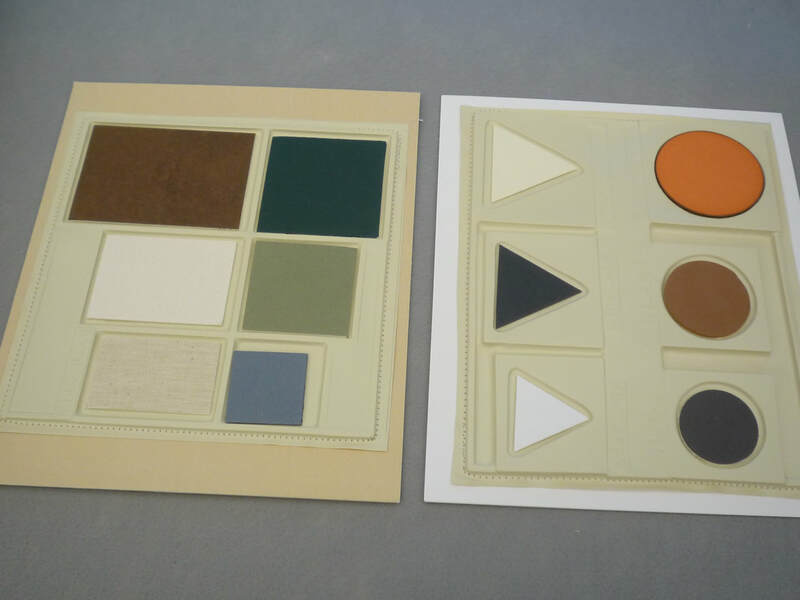 Books have tactile illustrations, are printed and Brailled. 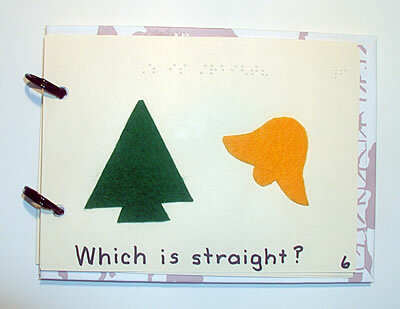 Cards and Aids, indicated by an asterisk, are Thermoform plastic. 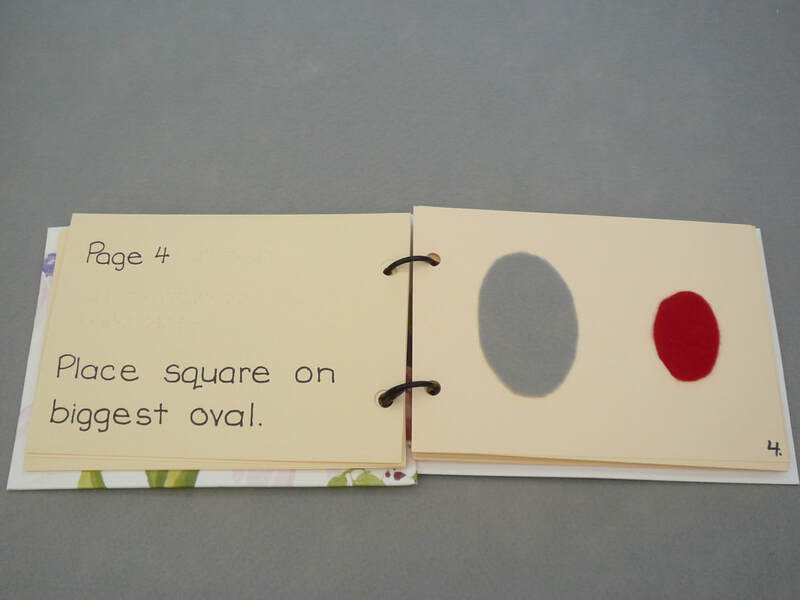 8.1.0 Simple Geometric Shapes: Square, Rectangle, Circle, etc. 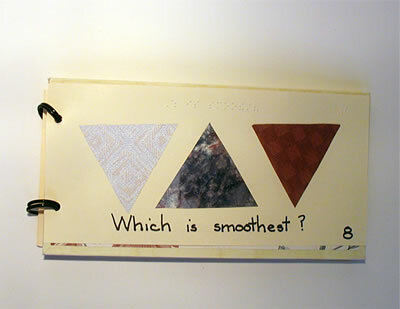 8.1.3 Sequences: First, Second, Last, etc. 8.1.4 One Form with Four Shapes: Four recesses and four removable basic shapes. 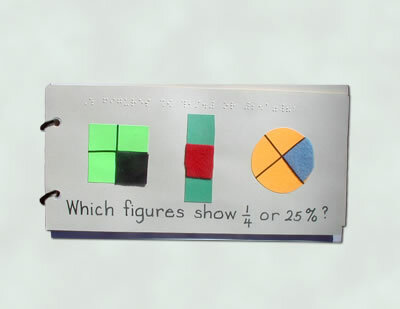 8.1.6 Math Symbols: NEMETH - Plus, Minus, Divide, Greater than, etc. 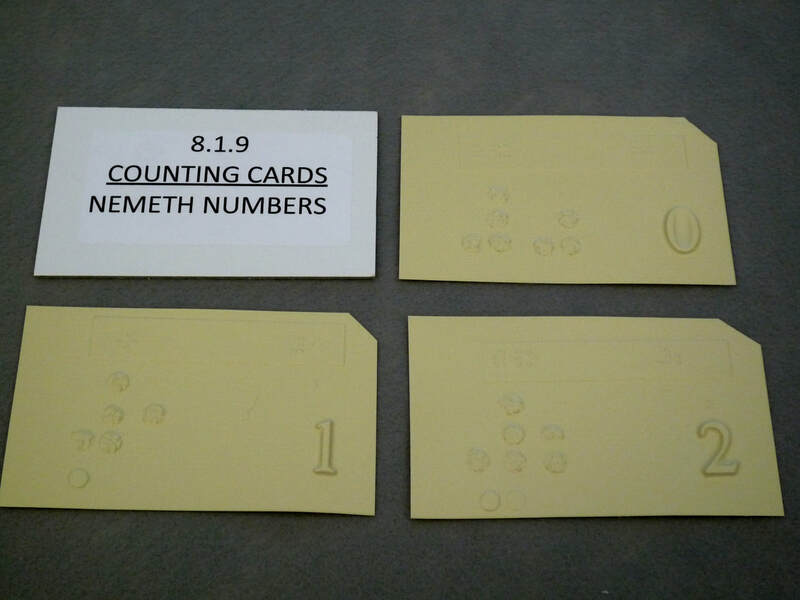 8.1.8 Fractions & Percents: Printed and NEMETH Braille. 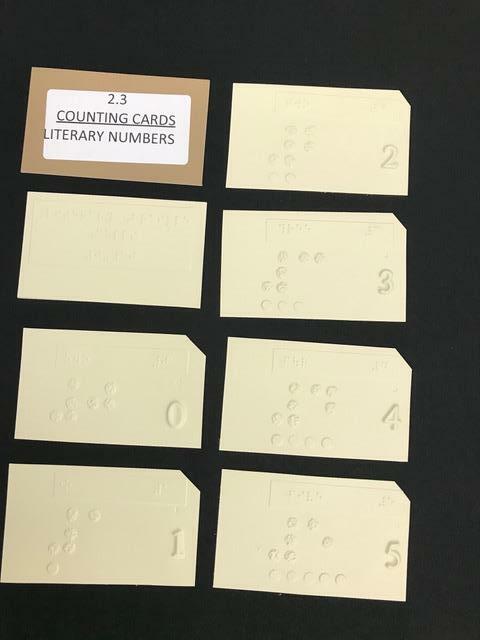 *8.1.9 Counting Cards: 0-10, 3x5, printed and NEMETH Braille.